Annual Meeting – Evolve your digital capabilities. Digital Dentistry has become one of the hottest topics amongst restorative dentists. Take what you have learned to the next level and GO DIGITAL. 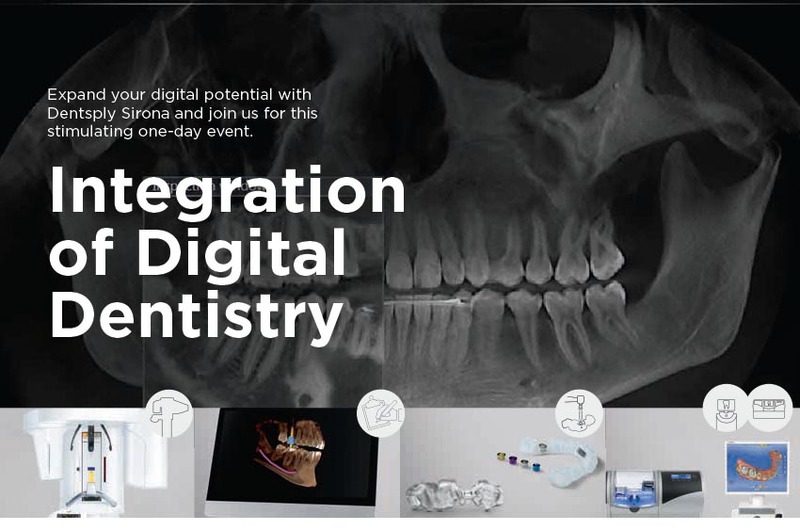 This course will give you the experience to utilize Dentsply Sirona Technologies for comprehensive dentistry as it relates to comprehensive diagnostics, treatment planning, surgical planning of implants, and digital restorative dentistry. The one-day curriculum will provide intensive review and detailed protocols to fully integrate both DS 3D and CEREC® for comprehensive progressive dental treatment. This course is intended for clinicians who want an edge by providing a digital workflow for their patients. Neal Patel, DDS, CDT graduated from The Ohio State University where he served as Implant Prosthodontic Fellow and helped establish techniques and protocols for Digital Implantology and Prosthetics. He went on to specialized study with renowned experts in the US and abroad. He has since become a national authority on 3D diagnostic imaging with cone beam computed tomography and same-day dental restorations with computer-aided design and manufacturing (CAD/CAM). He is a unique combination of dentist and Certified Dental Technician, an accreditation involving intensive course study and a demonstrated mastery of the specialty areas of dentures, partial dentures, crowns and bridges, ceramics, orthodontics, and implants. A testimony to his expertise, Dr. Patel travels extensively around the US, Canada, and overseas, training other doctors in the use of modern dental technology such as 3D imaging and computerguided dental implant placement. Please enter the member's name and email. Then click on the Blue Button.